Owing to the efforts of our skilled professionals, we have been constantly engaged in offering a qualitative assortment of Encoder Repairing Service. 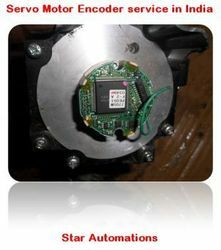 In order to keep pace with never ending demands of clients, our company offers Rotary Encoder Repair. Best quality of Encoder Repairing Service is provided by us to customers as per their requirements. iEtech Industrial Services & Automation Solutions have electronic chip suppliers morethen 50 world wide. 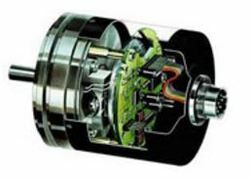 Encoder Repairs are available at ICS. Damaged encoders are common in machining operations and manufacturing plants today. ICS Encoder Repairs usually cost a fraction of what you would pay for a brand new one. So before you throw it away, why not let our experienced repair technicians provide a free evaluation and a price quote to repair your damaged encoder. We are one of the leading global Repair & Service providers of All Kinds of ENCODER’s (Rotary, Linear, Wire Draw, Incremental &Absolute) with Component Level Repair and Programming Service by using Advanced Technology. We provide service to all OEM, Non –warranty, upgrade & absolute products. Lektronix truly understands how Servo Motors interface with Machine Tool Servo Systems. We repair and supply a wide range of Motors including: AC Motors, DC Motors, Servo Motors, Stepper Motors and Slip Ring Motor.